What is a trading trust? What type of business structure is it? A trading trust is where a trust is used to conduct the trading of a business. A trust isn’t an entity (because it is a relationship) but it can nevertheless become a vehicle for conducting a business and it may be useful for asset protection and confidentiality. Trusts also have benefits that include taxation flexibility and control without ownership. The trading trust is a very popular device for small to medium enterprise in Australia. In its 2015 Report Business Set-up, Transfer and Closure the Productivity Commission estimated that there were 254,511 trading trusts in Australia. A trading trust is a trust over goodwill and business assets and the trustee is the legal person responsible to creditors. A trading trust is usually a discretionary trust, whose trustee is a company, that is used to trade for the benefit of the beneficiaries. As with a non-trading trust, a trading trust separates legal ownership of assets from beneficial ownership and control. The controllers of the business are the owners and their family who exercise a controlling mind through their appointment as directors of the trustee company. A trust isn’t a legal person (like an individual or a company is) so you can only contract with the trustee company and, if it’s a trading trust, this is usually a $2 company. What documents are required to form a trading trust? Trust deed (unit trust or discretionary). The company constitution and trust deed may be obtained from “off the shelf” providers but may need to be amended to take into account the individual circumstances of the business. Agreements between beneficiaries may be necessary to resolve potential disagreements or deadlocks in the future. Trust deeds do not include provision for resolving arguments about the future direction of the trading business, for example. A shareholder’s agreement between beneficiaries would include provisions for resolving deadlocks without having to start litigation. A loan agreement may be necessary for the recognition of monies advanced to the trustee company by beneficiaries. If the lenders want to have a priority position they will need to also enter into a general security agreement with the trustee company. It is unlikely that you will be able to purchase these documents “off the shelf” and you will need to engage a solicitor to prepare bespoke documents and register security interests. If a liquidator isn’t persuaded that there is a valid trust any advantage that the beneficiaries would have from a trading trust structure could be lost. The holder of the property (trustee) having title but no beneficial interest in the business assets. The trustee, however, has a right of indemnity over trust assets and this may mean that in a liquidation scenario the liquidator can draw upon trust assets to meet liabilities. This right of indemnity is created by equity law and the Corporations Act. One of the main advantages of trading trusts is that pre-tax income flows through a trust and the trustee (in a discretionary trust) can distribute income between beneficiaries tax effectively. There could be savings based upon the different marginal tax rates of beneficiaries. What is the risk to controllers and beneficiaries of the trading trust? If the owners are directors of the trading trust company they owe duties under the Corporations Act. This includes a duty not to trade whilst the company is insolvent. It should be noted that the right to recover from a beneficiary is limited and there is generally no right to indemnity from the beneficiary of a discretionary trust. What are the risks to creditors of trading trusts? Creditors have a limited right of subrogation which can give them access to trust property. Unfortunately, creditors need to rely on the somewhat obscure law of equity and an equitable remedy that can only be obtained through the Courts. 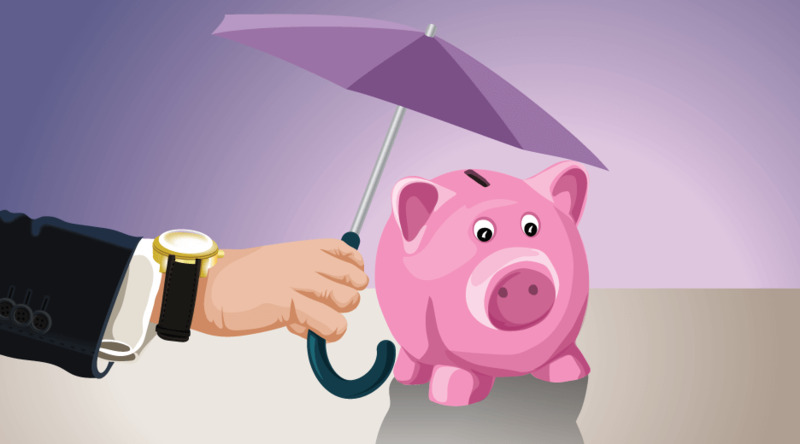 The best protections for creditors are listed below. If you are contracting with or supplying to a trading trust you face increased credit risk. There are at least five things you can do (other than being paid up front) to reduce your credit risk. The best way to protect yourself against trading trust risk is to make sure that the proprietors of your new customer are personally liable for any debts they accrue. There are specific provisions, such as an “all monies clause” or a “continuing guarantee clause” that should be included in your customer credit application to limit your recovery risk by ensuring your guarantees are enforceable in changing circumstances. You want to avoid a scenario where you rely upon the liquidator of a liquidated trustee company to chase the trust funds but this may be the fallback in an extreme case. If you set a credit limit early and then police it the credit risk you have will be capped at your credit limit. The last thing that you want is a continually deteriorating running account. If there is evidence of phoenix activity you would be best off requiring the new client to pay upfront and avoid giving credit. If you want to learn more about phoenix activity read our blog post: What is phoenix activity?